In the early 1960’s my father owned a couple Volkswagen beetles. Him being 6’2”, it was probably a matter of cost over comfort. In 1967 while coming home from my grandparents farm in rural North Dakota, we hit a cow and totaled our 1965 Beetle. 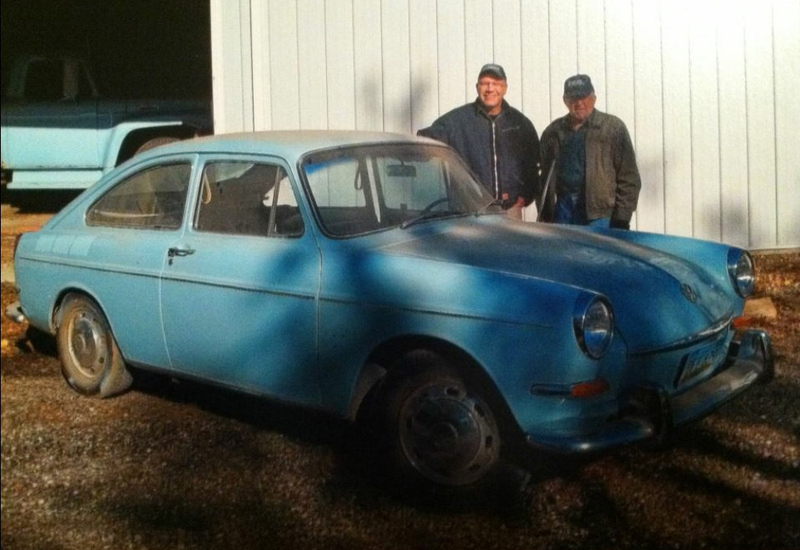 My father used that insurance money to purchase a new 1967 Type 3 Fastback from the local VW dealer in Minot,ND. In 1975, My father sold this car to a local farmer for $750. The farmer’s son used it for going to school. I recently learned it was also used as an ATV to round up cattle. Once pushed out of the barn, the car looked decent but not close to the plans I had for it. It had been “restored” by another local farmer. Paintbrush strokes and overspray were still visible and mice had taken residence in the interior. Although it would start, it would not run. After 38yrs and some dickering, I was able to bring the same car my father bought, back into the family. When restoration began in 2013, we found both doors and nose cone crushed, likely from driving through fields and hitting cows. These panels were filled with inches of bondo. Dried window seals allowed water to leak into the interior causing major rust and mold. The further we got into the car, the more complex the restoration became. The motor didn’t run because a mouse and its nest caught fire causing damage to the cylinder heads. Over the course of more than 4 years, all rust was cut out and replaced with new metal. Every nut and bolt has been replaced or refurbished. The engine was rebuilt to 1776cc from the stock 1600cc. A custom tweed interior was installed along with new or reconditioned bright work. And finally the original Brunswick blue paint was replaced with Candy Brandywine. 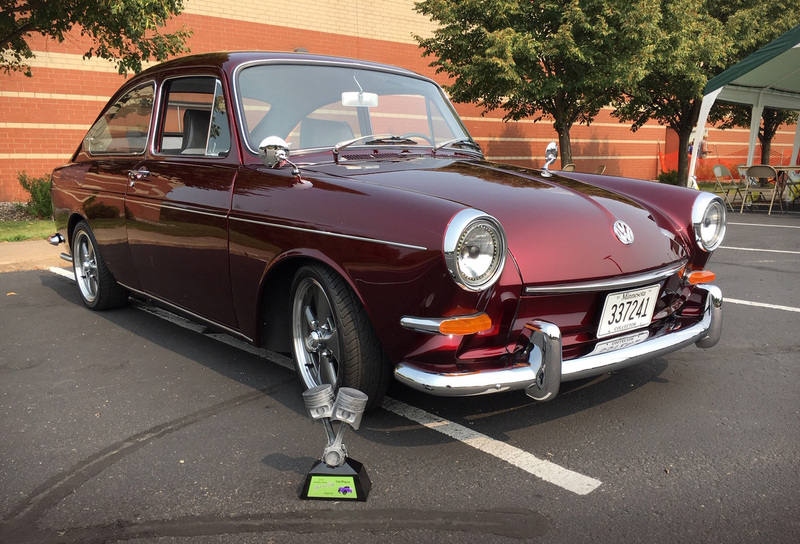 Since completion in July 2018, the car has been shown in several shows winning 3 1st place awards in the Vintage Import category along with Top 20 People’s Choice Awards. 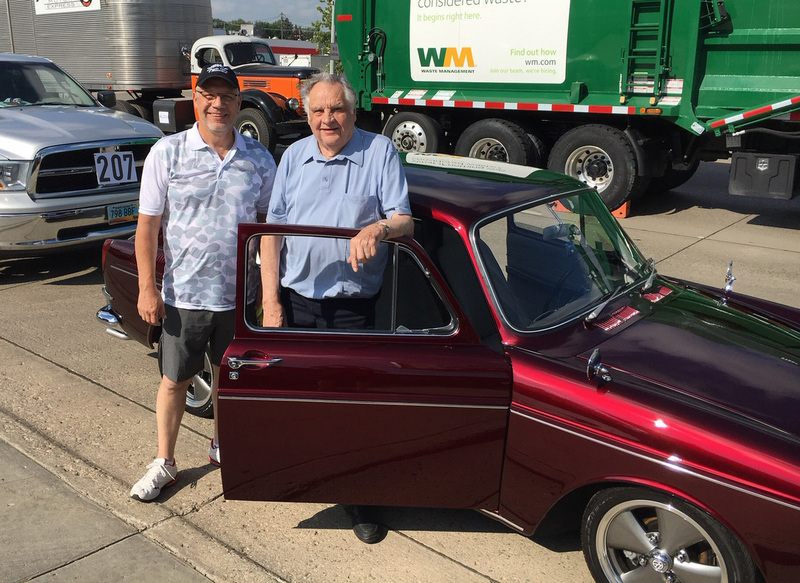 The high point was when I brought the car back to its original home in Minot to drive in the North Dakota State Fair Parade with my father. The widow and son of the second owner were able to sit in the same car they had owned nearly 40yrs prior. 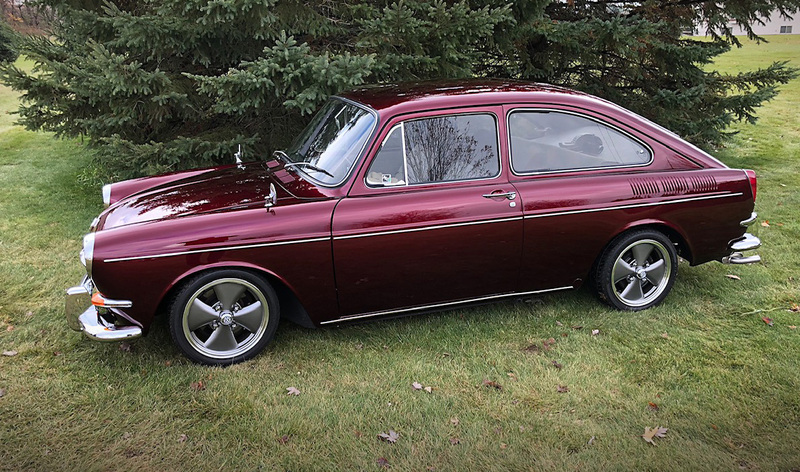 I am looking forward to a full car show season, driving my ‘67 Fasty, promoting classic cars whether foreign or domestic. Truly awesome. Those are so under-appreciated.